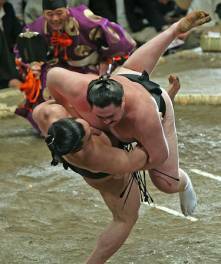 This very sorry affair is sadly yet another tarnish on the image of professional sumo in Japan. On August 18th of this year, we learned that maegashira 1 Wakanoho, a promising young Russian who could have hoped for a bright future in Ozumo, was arrested for possession of drugs two months previously, a very serious offence according to Japanese law. A week later, he became the first rikishi to be thrown out of the Nihon Sumo Kyokai. This is a look at the enormous waste of a promising career. Born on July 8th, 1988 in Alagir, in the Republic of North Ossetia in the Russian Federation – while his compatriots brothers Borazdov, or Roho and Hakurozan, were born in Vladikavkaz in the same republic – Soslan Alexandrovich Gagloev started training in free-style wrestling, but despite his youth, his constantly increasing weight finally surpassed the top limits of even the highest of weight categories (120 kilos). Weighing 138 kilos, young Soslan had to face the same worries that finally directed Kokkai and Kotooshu into professional sumo. 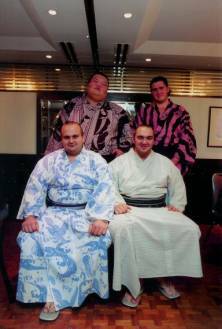 Being close to Roho, he decided to make the leap and take his chances in professional sumo, and arrived to Japan in the middle of 2004 when he was barely sixteen. At first, he stayed in Roho's Otake-beya. Although this period allowed him to get familiar with rudimental techniques of sumo and basics of life in Japan and within a heya, he could not become a pupil of Otake oyakata, who already had a foreign rikishi in his establishment, and so, could not accommodate another one. However, the former dai-yokozuna Taiho, who certainly grasped all the potential of the youngest gaijin who wished to enter Ozumo, decided to suggest him to Magaki oyakata, former yokozuna Wakanohana II. Thus, young Soslan found himself, logically enough, adorned with a glorious shikona formed from the kanji of his two mentors, Wakanohana and Taiho. Wakanoho made his official debut in sumo in March of 2005. His advance through the lower ranks was steady and punctuated by a jonidan yusho in May of 2005, when he finished with a 7-0. A year later he was in the makushita division, and in November 2006, his 4-3 kachi-koshi while ranked makushita 1e allowed him to reach the Holy Grail of promotion to the sekitori ranks. He became the third Russian to become a sekitori, and the youngest foreigner to achieve this feat. 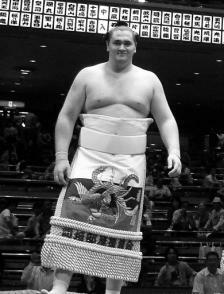 However, as it happens sometimes in such situations and particularly with a very young wrestler, he found the honours and new responsibilities of his rank difficult to bear, and in the next tournament earned a severe 5-10 make-koshi, his first ever since he debuted in sumo; this sent him straight back into the makushita division. But the young man was much too tough for the third division, and returned to the salaried ranks two months later. Having become more experienced despite his youth, he displayed three fine consecutive performances in juryo, with 10-5, 8-7 and again 10-5, which earned him the honour of promotion to the top division in November of 2007. The third Russian to reach the hiramaku ranks, he was also the sixth youngest wrestler to debut in this division, and considering the names that preceded him - Takahanada (future yokozuna Takanohana II), Kisenosato, Kitanoumi, Hanada (future ozeki Takanohana) and Hakuho - one could have well-founded hopes of a most brilliant career for him. Ranked maegashira 13 in his first makuuchi tournament, he managed to finish 9-6, which he followed with a brilliant 10-5 score in Hatsu 2008. With this, he reached the border to joi-jin ranks and found himself confronting the very best for the first time. With a notable win against the ozeki Kaio on the way, he reached senshuraku assured of a well-deserved kachi-koshi. But Wakanoho was known also for his European-style sumo, in other words, a notable tendency – well known from his elder Roho – to perform tachi-ai henka excessively, and for his quite impetuous temperament. In the next tournament in Osaka, he ended up being reprimanded by the Nihon Sumo Kyokai for showing his anger in an ostensibly violent manner after his loss to sekiwake Ama by a splendid textbook utchari. 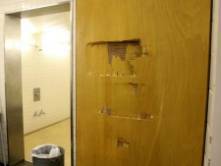 Wakanoho left the ring obviously beside himself – and, undoubtedly, mostly angry with himself – and then smashed a door of shitaku-beya. He was also reprimanded several times by his oyakata for his flying jumps in the purest Hayateumi style, which once earned him a humiliating loss against Iwakiyama. His oyakata promised to send him back to Russia to work in a caviar factory should he do that again, and the man himself swore by all that was holy to declare his intai if he ever should do another (although he later still jumped again several times despite his declaration). That said, he managed once again to secure a kachi-koshi in the last day, his fourth in the makuuchi ranks, and found himself promoted to the threshold of sanyaku, to the rank of maegashira 1 west. What could have been the start of a great career was, in fact, the young Ossetian's swan song. Noticeably not at ease even though facing opponents quite similar to those at the previous basho, in Nagoya, Wakanoho lost eight consecutive bouts to end the tournament with an embarrassing 4-11 score. Was it a passing problem of adapting to the difficult heights of the banzuke, or the knowledge of consequences of the affair about to burst, of which he was already aware? Only he could say. It was still unknown at that time, since it would only be announced at the end of August, that Wakanoho was implicated in a serious affair, at least in the view of Japanese law. On June 24th, a passer-by found a lost wallet on a Tokyo street and brought it to the nearest koban (police box). Once opened, the wallet was found to contain a substance that turned out to be marijuana, and a document in Wakanoho's name. Arrested on August 18th and interrogated, the Russian ended up admitting to the facts and declared that he received the substance from a foreigner in Roppongi (a "steamy" district of Tokyo). Wakanoho's apartment and his quarters in Magaki-beya were also searched, and a small quantity of the drug and an opium pipe were found. The Kyokai's reaction wasn't slow in coming. 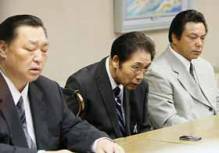 Already marked with repeated scandals, from the problems of yokozuna Asashoryu to the tragedy of Tokitsukaze-beya, the rijicho Kitanoumi announced almost immediately that the affair was very serious and that it would be treated with the greatest severity. In fact, Japanese law punishes the use of drugs with the greatest severity, even if they are considered as "soft" in other countries. So, Wakanoho faced five years of imprisonment with forced labour, although the fact that he was a minor at the time of crime could alleviate the consequences. But beyond those already serious consequences for the young man, far more serious for the Nihon Sumo Kyokai was the disrepute thrown upon an active sekitori in makuuchi, who should have been an example of healthy living (however, it's all relative, considering chanko-nabe...). A special council of rijikai (board of directors of the Nihon Sumo Kyokai) was therefore urgently convened. The punishment was not far behind. Magaki oyakata, who was already penalized with a 30 % reduction in salary for striking one of his disciples with a bamboo sword after the Tokitsukaze scandal, was reproached for leaving his heya in a neglected state (the reason why former Gojoro left it last November to join Sadogatake), and his heya-gashira without control or direction. 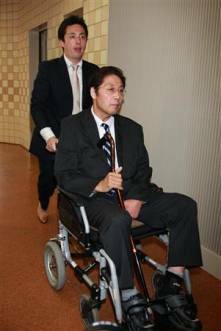 In his defence, Magaki oyakata, former Wakanohana II, was very stricken by the death of his wife and has, for some time, been constrained to a wheelchair or forced to use crutches as a result of a stroke that largely depleted his health. Since that stroke, he had lost his grasp on what happened in his heya and seemed to have lost interest in its future, so he bowed to the decisions of the Kyokai. And the punishment – which, in fact, suited him since he wanted to leave anyway– was demanding his resignation from the rijikai, demoting him from rank of riji to that of iin, and relocating him to the Education bureau of the Kyokai (which is not all that wise considering his own wrongful behaviour to his deshi). His position at the rijikai was not yet filled at the time of this writing. As for Wakanoho, the decision everyone was expecting was made on August 21st: he was expelled from the Nihon Sumo Kyokai, as the first ever to suffer this fate in this exact manner (Wakahaguro was forced to resign for smuggling weapons, and Futahaguro fled after an altercation with his oyakata. More recently, veteran Kotokanyu, who was charged with assault on a younger wrestler, was compelled to “retire” by his own oyakata). From his prison cell, Wakanoho expresses his most sincere regrets, but he is well aware that it is too late. "There are no other rikishi doing this", he says. "There is nothing I can do anymore. I am now reflecting on all that I have done." Other consequences will likely come, because it would be surprising if Magaki oyakata continued to lead – if that is the right word in the circumstances – his heya for much longer. Without a known successor, and with the scandal tarnishing the name, it seems quite possible that Magaki-beya would simply and utterly disappear, its deshi taken over by another heya of the ichimon. As for Wakanoho and his future legal status, he might in all probability escape conviction, since the Japanese judiciary prefers the expulsion and deportation of foreigners in this type of situation. 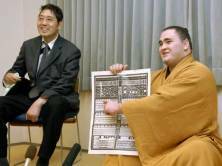 It remains to be seen what will become of the banzuke, no doubt already decided at the moment of his arrest, and which could see another name erased from ranks of professional sumo after the "blank" left by Tokitsuumi when that Tokitsukaze rikishi had to urgently take over the heya. In conclusion, if the epilogue of this depressing story, which provoked more or less stormy debate in Japan and elsewhere on the severity of punishments and the cultural differences, is still not written, we have to admit that Wakanoho didn't grasp the cultural specifics and realise that what he did, as innocent as it was, was punishable with extreme severity in his adopted country. In his defence, this very young wrestler, arriving in a culture so foreign to his own while he was practically still a child, hadn't received all the attention he deserved from the father figure – his oyakata, a champion with quite a glorious past and himself a pupil of one of the greatest rikishi and oyakata in the history. Wakanoho was also a victim of unfavourable circumstances following different repeated scandals, from Asashoryu's troubles to the Tokitsukaze affair and the fact that the pitiless severity of the Nihon Sumo Kyokai comes mostly from the hierarchical dependence of the sumo organisation on MEXT, Japanese Ministry of Education. The Nihon Sumo Kyokai had to take into consideration the context and uncompromising repressive politics of the Japanese government regarding drugs. All that remains from this unnecessary new scandal in professional sumo is a feeling of sadness and waste. Long live Aki basho, when we'll finally talk about the sport again!